Tennessee's John Kelly celebrates a touchdown run against Tennessee Tech last season. Kelly led Vols running backs with 630 rushing yards last season and will be counted on to carry an even heavier load this year. The now-departed Jalen Hurd and Alvin Kamara began the 2016 season as the featured players in Tennessee's backfield. By season's end, John Kelly had more yards than both. Kelly, now a junior, returns to anchor a Tennessee running back corps that will be relied upon as the Volunteers break in a new quarterback. Kelly averaged a team-high 6.4 yards per carry as he ran for 630 yards and five touchdowns last season. Carlin Fils-Aime is a sophomore who is likely to have an increased role as he returns after running for 58 yards on 14 carries last season. Ty Chandler is a freshman from Nashville who could have an immediate impact. The four-star prospect ran for more than 2,000 yards his final two high school seasons at Montgomery Bell Academy and turned down scholarship offers from some of the nation's best programs to join the Vols. When practice begins, coaches will begin to get a sense of the type of load Chandler will be ready to shoulder as a freshman. Running back Timothy Jordan from Bartow, Fla. — who was a three-star recruit with offers from North Carolina and Purdue — is new on campus, too. He could be a redshirt candidate but will likely be needed on the field at some point in 2017. 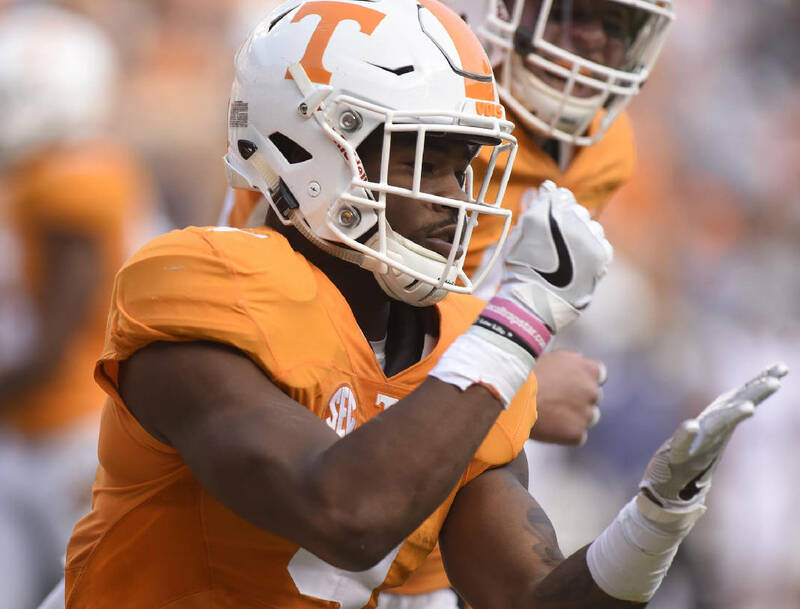 Kelly emerged as a high-quality Southeastern Conference running back last season and appears poised for a true breakout season in 2017 as he steps into the role as Tennessee's featured back. His experience will benefit a young group of running backs and should bring comfort to a new starting quarterback. He has been in big-game situations and thrived. There is optimism about Chandler's talent and the possibility that he could carve out a niche in the offense almost immediately. The coordinator and every position coach for the offense is new this season, with the exception of running backs coach Robert Gillespie. He has manned that post since 2013, and the continuity figures to benefit Kelly, who has developed into a budding star after being an overlooked high school prospect. A lack of experienced depth at the position could quickly become an issue. Fils-Aime is a former four-star prospect, but he received limited touches last year. That puts pressure on Chandler and Jordan to be game-ready just months after arriving on campus. Kelly needs to show his pass-catching ability is legitimate.